It will likely be at the Manchester arena on Nov 10th. There will be an official announcement tomorrow. Usyk will win this with ease. 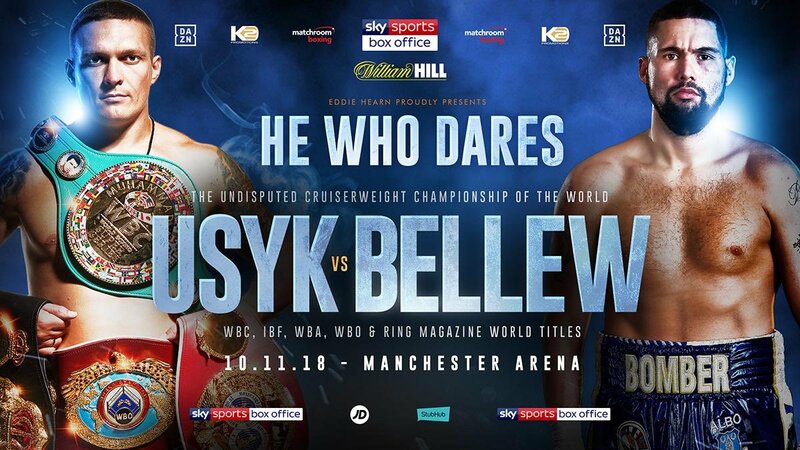 Credit to Bellew for taking the challenge but he is not in the same league and class of Usyk. Funny how Bellew moved up to HW to avoid Usyk and then when Usyk completed CW and was most likely moving up to HW Bellew all of a sudden only wanted to fight him at CW. I'll bet he was pissed when he realised Usyk would fight him at either weight. Still have to credit Bellew for taking this at Cruiserweight when he could have insisted it be at heavyweight. He would create history if he won. Another name for Usyk's record. Bellew had a good record at Cruiser with wins over Makebu and Masternak standing out. Usyk should look to move to heavyweight after this, unless he wants to deefend against Lebedev. They must have worked something out with the WBA. Lebedev will be getting some step aside money and a promise he may be next. Easy payday for doing no work. Yea and he stays in the mix. I think Usyk will move up weight after Bellew and then watch some posters say he is avoiding Lebedev. It's now official, it was announced today by Eddie Hearn. I wonder what weight Bellew has been walking around at, the fight date is sooner than I was expecting. Wonder how this will sell. I know nothing about Usyk but I have warmed to Bellew of late. In the UK Bellew will shift a load of tickets amongst the casuals and then once the media machine gets rolling and they start bigging up Usyk it'll get even more tickets sold. 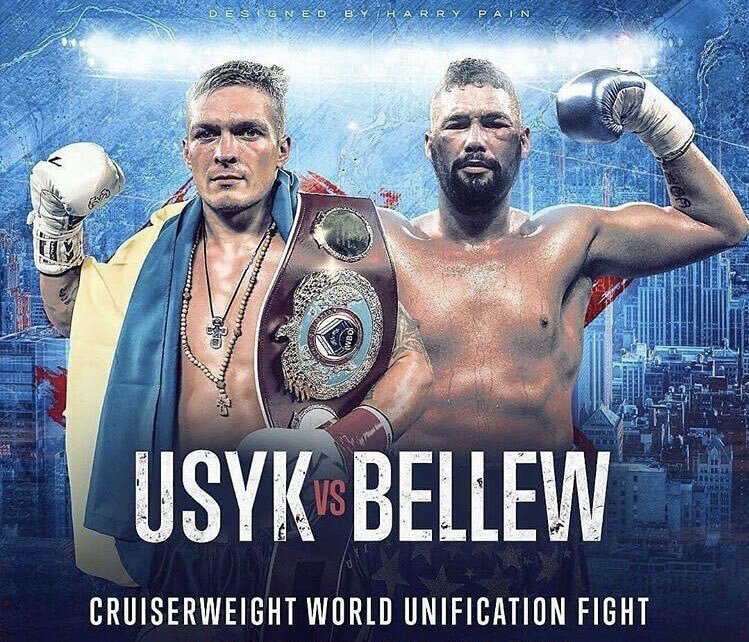 I hope that they sell Bellew as the underdog though, if they try to say that Usyk needs the win to prove he has dominated the CW division it'll be wrong. Bellew is the one who needs Usyk not the other way round. Check him out, buddy. I think Usyk is the real thing. Easily the best cruiser since Holyfield and would ave given Evander all sorts of problems. If God wanted us to be vegetarians, why are animals made of meat ? Just know this, Usyk is basically a cruiserweight Loma. Nah Lebedev had his chance to enter the WBSS but chose not to. It's still a good defense if Usyk chooses to remain at Cruiser for another fight or 2. I agree with this. Didn't Loma's dad train Usyk for his last fight?